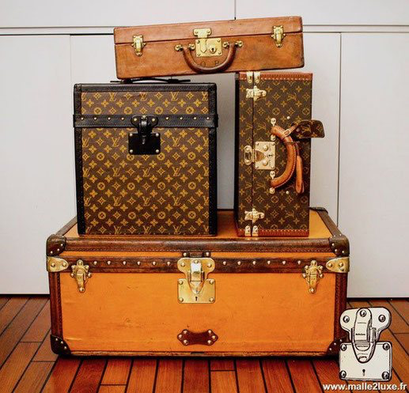 We receive many emails from people wanting to know the value of their trunk Louis vuitton, Goyard or Moynat. This article is meant to help you. It is common to confuse expertise and estimation. Revelations about an abuse of language. An estimate is free and can be done by anyone. It does not engage anyone, many amateurs engage in this exercise producing estimates that have no value. On the other hand an expertise is a paying service which engages the writing, this one is not done on photographs because the vices are too numerous. The certificate of authenticity is not regulated. No law gives it value. Just like estimation, everyone can deliver. The value of the certificate is based mainly on the credibility of its author (competence, good repute, notoriety, link that he possibly has with the author, etc.). Only a Louis Vuitton certificate would have value. 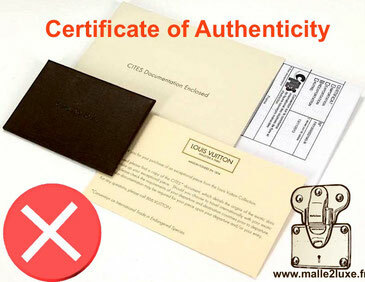 So if a seller offers you one or worse than you make a certificate beware. We do not make price estimates. If you are a seller, we can be a buyer. Thank you to give us your selling price. Keeping in mind that a good sale is a satisfactory seller transaction as a buyer. What price for your luxury trunk? There is no fixed price, argus or price per m2 as in real estate. 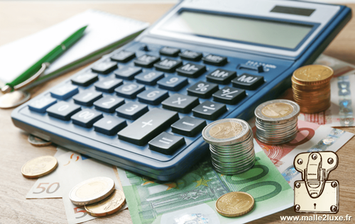 The price is a function of many factors that we will try to enumerate. We regularly receive trunk or suitcase packages that are much higher than our shop price from individuals misled by an ad issued by a "joker" offering a trunk 10 times more expensive than the prices we charge. . It is important not to confuse sales price displayed and price sold, because any seller is free to display the price he dreams of getting. 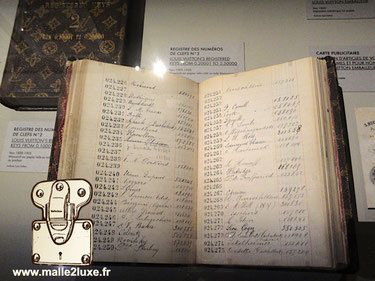 Only the brands Louis Vuitton, Goyard and Moynat, in the United States have a collection value. The absence of a marking on the trunk sign the non-belonging of your property to one of these 3 marks. Can be perfect for decoration but have no collection value. Their prices are very low and rarely exceed 500 euros for the most beautiful models because of the low reputation of their manufacturer and their lower quality. 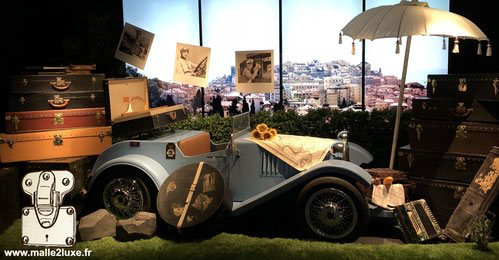 These brands, which are strongly inspired by the design of luxury trunks, are particularly interesting for those who dream of owning an old Louis Vuitton trunk without having the means to do so. 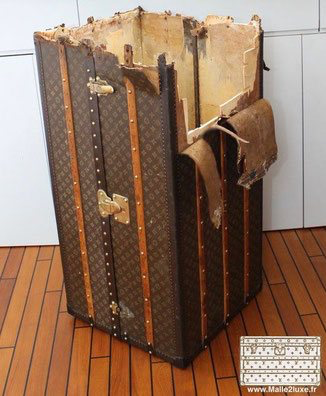 For this reason the same Louis Vuitton trunk can be worth between 300 and 2000 euros depending on its condition. A restoration costs from 1 500 euros for a simple cleaning to more than 9 000 euros for a major restoration as in the case of this trunk wardrobe. 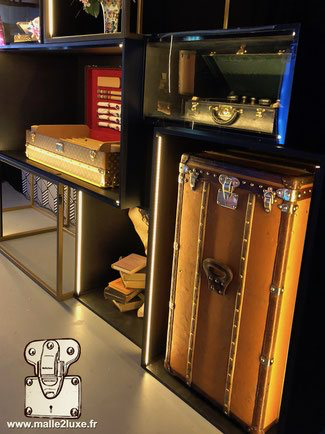 When it is perfectly executed in accordance with the know-how of the trunk and the original condition of the luggage a restoration is a real added value for a trunk. Unfortunately in 95% of cases it is badly conducted and requires a second intervention, causing a greater workload and therefore an additional cost for an aesthetic result that will remain less than that of a first restoration conducted according to the rules of the 'art. In some cases the trunk loses all value, it is the case of a trunk whose painting would have been repainted. The bigger the trunk, the more expensive it is. 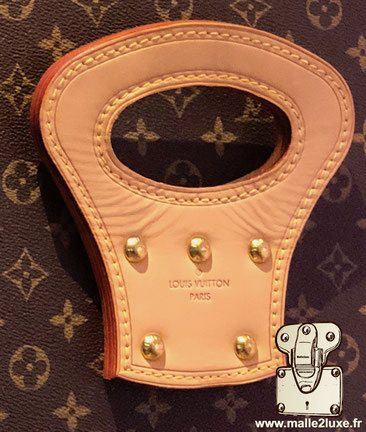 The finish also called (series) represents the different qualities of Louis Vuitton trunks, in other words the choice of materials that dress the trunk. As written in the previous paragraph the nature of the finishes has a strong impact on the value of the luggage. The coating of the canvas has even more. Concerning the most popular coated canvas are those featuring the famous Louis Vuitton monogram as well as the old checkered canvas. The production processes of the canvases and the modes that have evolved over the centuries, specialists are able to use characteristics such as typography or the materials used to estimate the year of production. Every visible evolution allows us to identify editions that we call MARK. 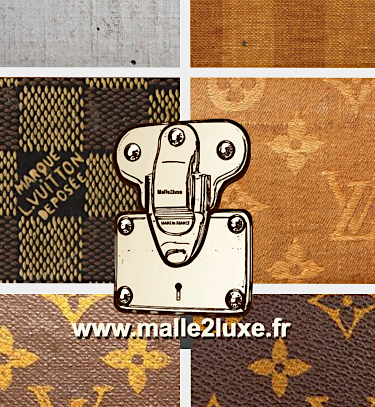 A LV stencil fabric is more sought after and is worth three times more expensive than a trunk with LV PVC fabric. Everything is a matter of personal taste (the Chinese market demands trunks with a PVC canvas while the Western market is crazy about the history-laden canvas and patinated with stencil). Value is a function of demand, which itself depends on scarcity. 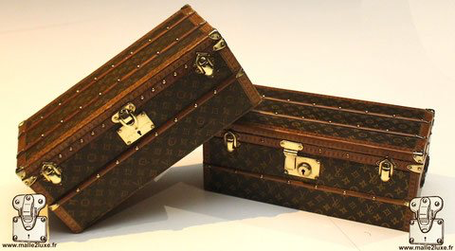 But a very rare trunk is not necessarily very expensive, collection and financial values can be decorrelated. In general, a special order is more sought after than a standard trunk. 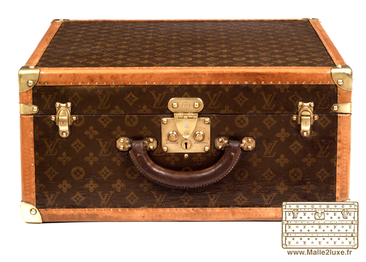 A very rare black trunk will have less value than a standard trunk with a monogram canvas. 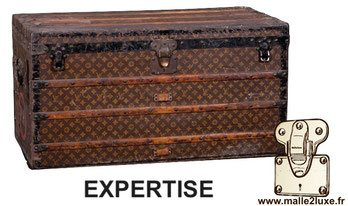 A mail Louis Vuitton trunk with a domed lid will have no value. The more drawers and interior fittings, the higher the price. 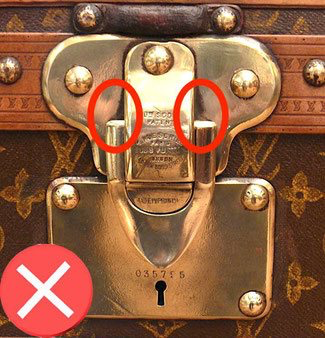 TThe date of manufacture has only a very small impact on the value of a Louis Vuitton trunk. A Trianon gray trunk of 1870 will have an archaic construction and therefore less valuable than a trunk of 1910 more accomplished and respecting the standards and image of the brand. On the other hand, a 1910 trunk is more valuable than a modern PVC trunk of today. Our clients benefit from an exclusive consulting service . 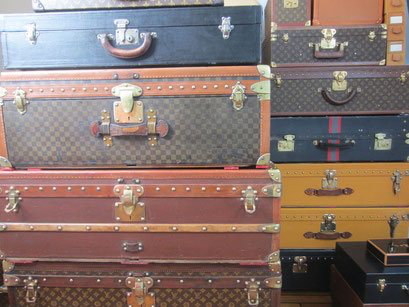 Our customers have the possibility to send us pictures of trunks that they wish to acquire (seen at confreres, in the auction room, etc.) in order to benefit from a responsive consulting service to allow them to constitute a prestigious collection of quality.